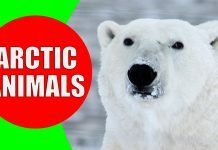 Here is an educational video to teach rainforest animals for children. Let’s learn the rainforest animals, rainforest wildlife, and jungle animal sounds. Rainforests are home to more than half of the world’s animals. Tropical rainforest animals range from tapirs to chameleons, sloths to anacondas, toucans to poison dart frogs. This diversity makes it interesting for kids to learn about the rainforest animals and their sounds. Rainforests are forests characterized by high rainfall. There are two types of rainforest: tropical rainforest and temperate rainforest. Colorful and unusual animals live in the jungle. The rainforests of Congo, Borneo, and Amazon support an extremely rich animal life. A large variety of mammals, birds, insects, and reptiles can be found in a rainforest biome. 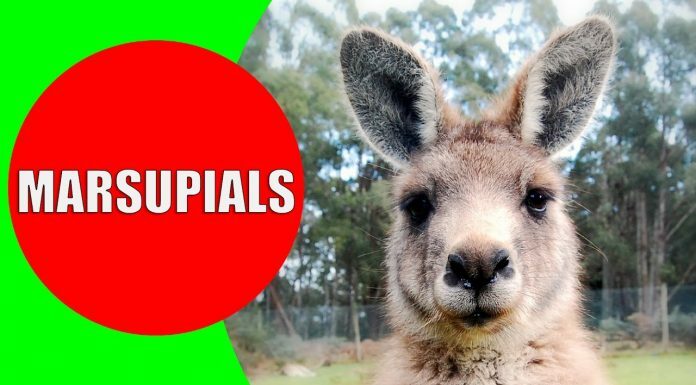 In this video, you are going to watch the HD videos of 40 real jungle animals. Sounds of rainforest animals are included in the high-quality video footage to help preschoolers and kindergarten children learn about rainforest animals visually and with audio. Learning about rainforest animals for kids is a fun activity. Every child loves animals and they are eager to learn about the animals that live in the jungle. How is the rainforest wildlife? In a challenging environment like the tropical rainforests, animals need to adapt to survive. To do this, rainforest animals have developed several adaptations over many generations. Rainforest animals adaptations which were advantageous survived and passed on to new generations. Some examples of animal adaptations in the world’s tropical rainforests are the following: camouflage, poison, interdependence on other species and nocturnal activity. Which rainforest animals for children will I learn with this video? 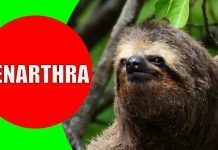 We will see and hear the sounds of following rainforest animals for children in this video: Three-Toed Sloth, Toucan, Armadillo, Anteater, Tarsier, Tapir, Lemur, Binturong – Bearcat, Bengal Tiger, Bonobo, Piranha, Caiman, Capybara, Jaguar, Iguana, Orangutan, Ocelot, Cassowary, Poison Dart Frog, Spider Monkey, Coypu, Cockatoo, Chimpanzee, Leopard, Agouti, Baboon, Chameleon, Cougar, Hummingbird, Gibbon, Boa Constrictor, Civet, Howler Monkey, Leafcutter Ant, Siamang, Scarlet Macaw, Gorilla, Sugar Glider, Green Anaconda, Capuchin monkey. 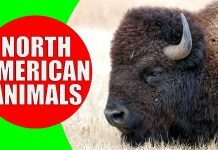 Please have a look at our forest animals page for more educational videos of the animals of the world’s forests.